Heinrich Mueller has done a remix for a 12” by an exciting new project called No Comment by Dutch producer Albert van Abbe. It will be available in January 2011 and is limited to 200 copies, more specific info I was sent below. No Comment is described as ‘a platform focused on sharing channeled auditive and synaesthetic/ multi sensory perceptions. The concept was conceived to help the energy levels rise towards the transcendence of spacetime, entering the multiverse. The message is in the music, this is your last call. Decode to be illuminated!’ You can already preview all three of the tracks from it in unmastered form, including Mueller’s remodel, on their SoundCloud page. I have other links here for you as well like the projects Facebook and BandCamp sites etc. 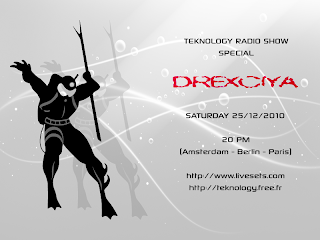 On Christmas day there will be a Drexciya special on an internet radio station which will I’m sure be archived by them too. Up now, like the pirate broadcast of your dreams, great stuff, enjoy. 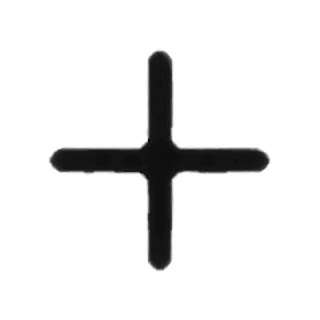 First new track in a long time up on the Noether Symmetry MySpace. While they have no direct involvement with Heinrich Mueller, but may have some ties, they are it has to be said making some incredible music in that vein and it would be a shame if you didn’t get to hear them for yourselves. I don’t expect to ever be going into any great detail about them here but am more than happy to support their efforts. I just wish they were a bit more prolific in putting out new material but there’s a whole other world going on here if you wish to explore it. It’s rare I use this page to self-publicize but a friend and I have done an album recently and I’m keen to get the word out. It’s our second album under the name Black Sea Project and can be heard on our own BandCamp site. ...there's a fantastic new noether symmetry track on their myspace!! just to let u know. and, please, keep your work up, your site is fantastic. Thanks Tom, just put something up about it in current post, good track well spotted. love the Black Sea Project album! thanks for sharing. Extremely relevant! happy new year stephen, keep up the good work! Thanks for Zwischenwelt info and new year greeting. Am looking forward to 2011. Happy new year to all DRL readers. "depths unknown" is great !